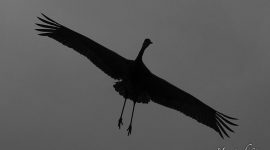 A sandhill crane comes in for landing during heavy fog over the Cathcart Islands. 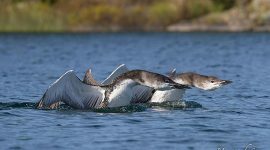 Loons dance on the unseasonably warm waters of Twelve Mile Bay in early October. 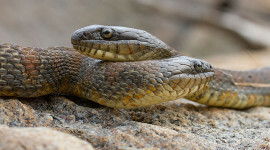 Two northern water snakes keep a lookout next to a hibernaculum on the Bustard Islands. 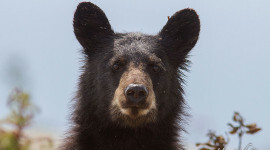 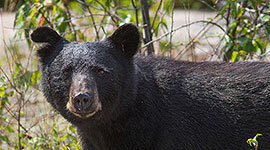 A large black bear pauses momentarily while foraging for berries in the underbrush of the Churchill Islands. 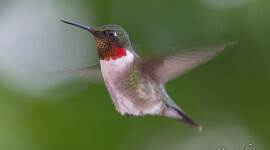 A ruby-throated hummingbird defies gravity, neck feathers perfectly displayed in the late June sunlight. 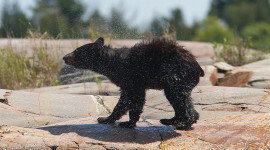 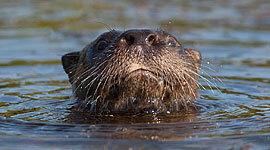 A bear cub shakes water off after a swim on the Bustard Islands, close to the Bustard Rocks lighthouse. 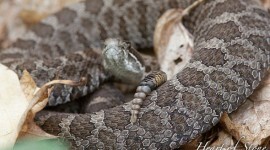 An endangered Massasauga rattlesnake sniffs the air, on a portage in Massasauga Provincial Park’s Spider Bay. 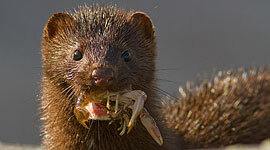 This was the largest Massasauga that I’ve ever seen, around one metre in length. 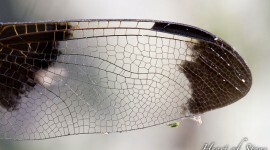 The delicate features of a dragonfly wing on the Umbrella Islands. 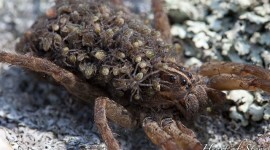 Babies adorn the back of a mother wolf spider. 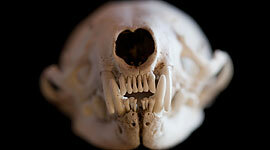 A perfectly preserved mink skull reveals its details in the Sans Souci area of Georgian Bay. 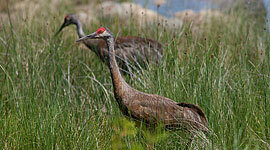 Sandhill cranes forage in the wetlands around Byng Inlet. 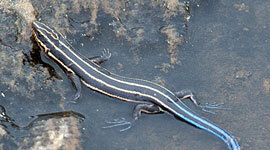 The tail of a five lined skink glows bright blue in the Chicken Liver Channel, at the mouth of the Naiscoot River. 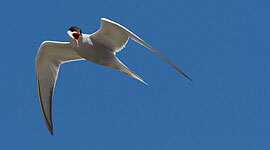 A common tern flies overhead in Sans Souci. 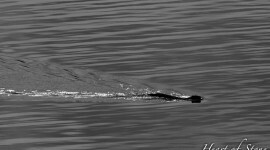 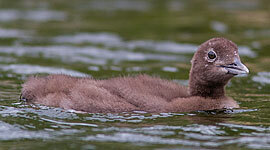 A loon chick swims off of Wreck Island, in Massassauga Provincial Park. 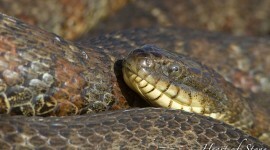 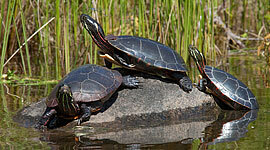 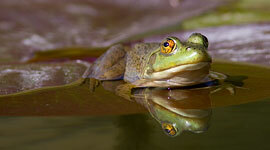 A northern water snake basks in the sun on the Umbrella Islands. 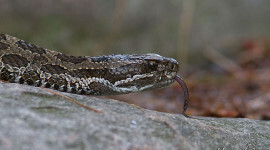 A Massasauga rattlesnake coils up on the aptly named Massasauga Trail on Beausoleil Island, displaying its six-segment rattle.